Thank you for validating your subscription. 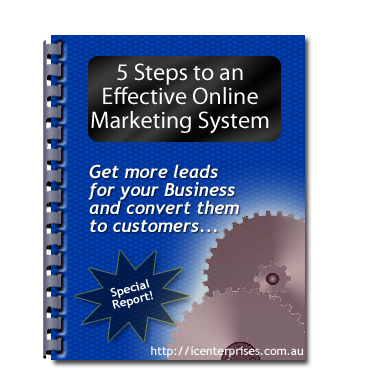 As promised, please access your free report 5 Steps to an Effective Online Marketing System below. Right click on the image and select “Save link as” from the options. You will need a PDF reader to view this report. We recommend the Adobe reader for this.